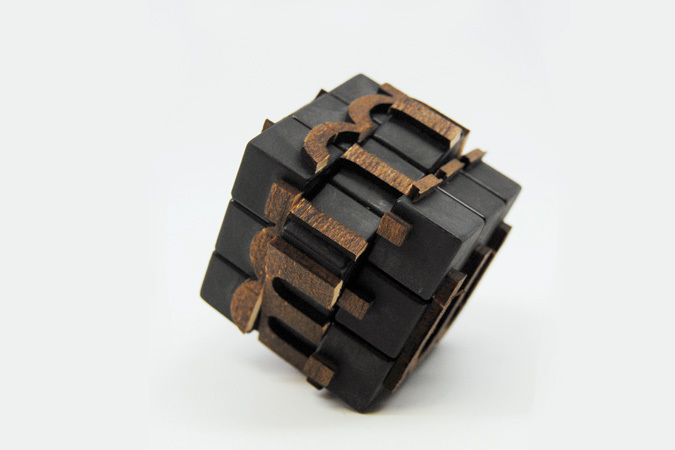 This Rubik’s cube serves as a handheld wooden letter press that can reassemble the anatomical structure of six historic typefaces: Blackletter, Baskerville, Poster Bodoni Futura, Helvetica, and Gotham. 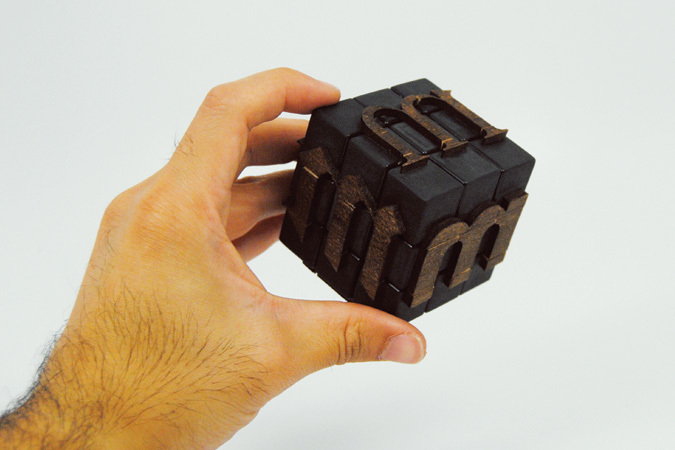 The letter “m” was chosen as it is the standard from which all other em widths within an alphabet are derived. 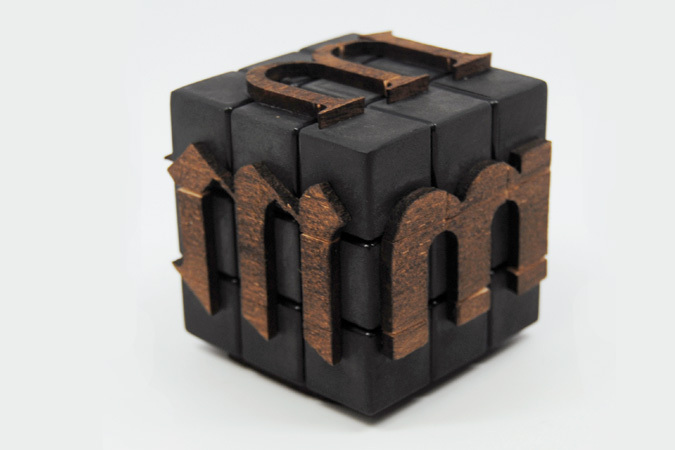 The use of a Rubik’s cube serves as an analogy for the evolution and complication of typography over centuries.